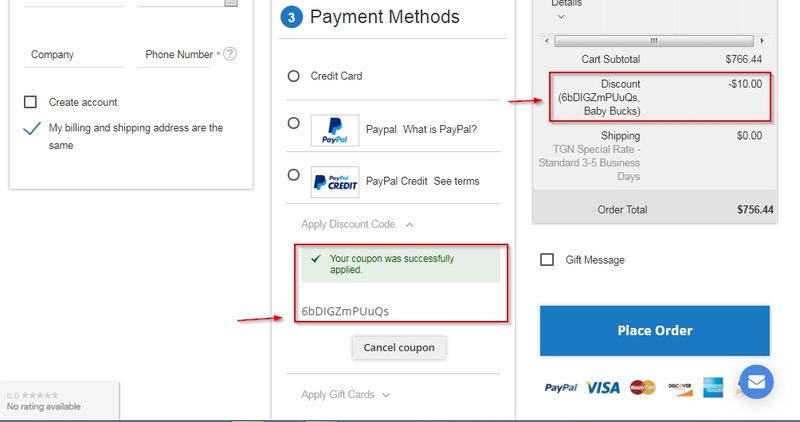 Elena Flores I have tested this code and it works as described, place the code at the checkout of Products and enjoy the discount. armando Save $10 on $100 purchase by using the promotional code (6bDIGZmPUuQs) at checkout to claim your discount. Exclusions may apply to this.